NEW HAVEN, Conn. -- World No. 8 James Blake, the 2005 Pilot Pen Tennis men's champion and 2006 US Open quarterfinalist, has become the first ATP player to commit to Pilot Pen Tennis presented by Schick, a US Open Series event on the ATP and Sony Ericsson WTA Tour to be held August 17-25, 2007 at the Connecticut Tennis Center at Yale, it was announced today by Anne Worcester, tournament director. Blake, who came into the 2005 Pilot Pen as a wildcard ranked No. 80 in the world, won the tournament by upsetting six higher-ranked players. The win began the resurgence in his career, which continued in 2006 as he won five tournaments including Sydney, Las Vegas, Indianapolis, Stockholm and Bangkok, all of which catapulted him to a career-high ranking of No. 4 in the world. This year started in similar fashion as he captured the ninth title of his career at Sydney in January. "Since his surprise victory at the 2005 Pilot Pen, and due to his continued on-court success as well as his charisma, James' popularity and recognition have increased significantly around the world," said Worcester. "We are delighted that our former champion and our local favorite is the first player to commit to the 2007 Pilot Pen." Blake's nationally recognized and ever-growing cheering section, dubbed the "J-BLOCK" by Pilot Pen officials in 2005, will have a significant presence again this year at the tournament, so fans should get their tickets early. All ticket packages go on sale today, March 20th, and range from Weeklong Box Seats (the best seats in the house for all 15 sessions starting at $400/seat) to the Family Four Pack (four middle tier tickets for the session of your choice, 4 hot dogs, 4 sodas and two tournament posters starting at $64). "I always tell the players on tour and people I meet that the Pilot Pen is my favorite tournament on the ATP," said Blake. "To be able to play in front of the J-BLOCK - all my friends and family - and in such a terrific atmosphere is something I look forward to every year. I can't wait for this summer in New Haven." For tickets, how to become a volunteer, or more information about the tournament, please call the Pilot Pen Tennis Box Office, 888/99-PILOT, 203/776-7331, or log on to www.pilotpentennis.com. The 2007 Pilot Pen presented by Schick (www.pilotpentennis.com), a US Open Series event on the ATP and Sony Ericsson WTA Tour, will be held August 17-25 at the Connecticut Tennis Center at Yale. The Pilot Pen is the first ever combined men's and women's summer tournament leading into the US Open. 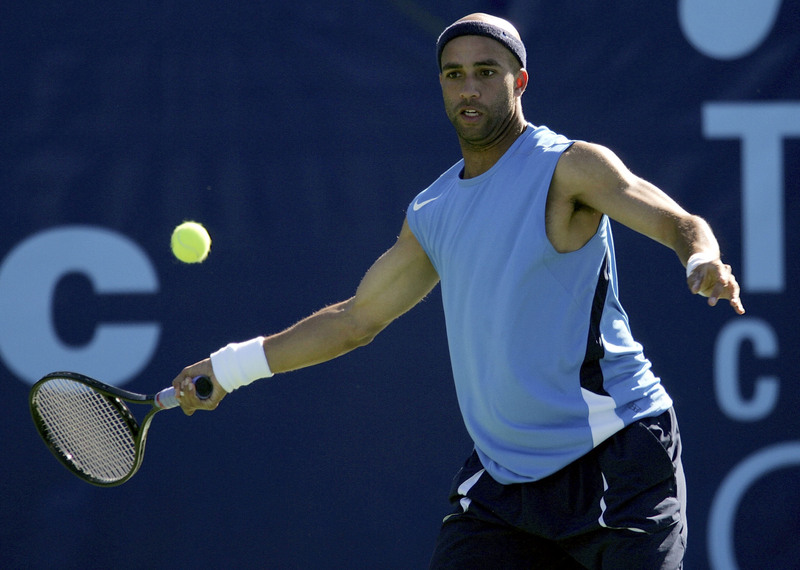 Some of the biggest names in men's and women's tennis played in the 2006 Pilot Pen such as ATP players James Blake, Nikolay Davydenko (defending champion), Marcos Baghdatis, Feliciano Lopez and David Ferrer and Sony Ericsson WTA Tour players Justine Henin (defending women's champion), Lindsay Davenport, Amelie Mauresmo, Elena Dementieva and Daniela Hantuchova. The 2006 Pilot Pen drew 100,000 spectators and was televised nationally for 20 hours on ESPN2 and CBS Sports and in over 180 countries worldwide. For information on tickets, travel packages, sponsorships or on how to become a volunteer at the 2007 Pilot Pen, call the Pilot Pen Tennis office at (203) 776-7331 or (888) 99-PILOT. The US Open Series, launched in 2004, is the cohesive, six-week summer tennis season of 10 North American tournaments linked to the US Open. The Series has produced record attendance, TV viewership and live broadcast hours for the sport. In total, the US Open Series events -- including the US Open -- generated a record 1.6 million attendees, 137 million TV viewers and 27.8 million website visits making it the strongest summertime property in sports. Ana Ivanovic and Andy Roddick are the defending US Open Series champions.